If someone were to ask, “what type of call has killed more turkeys than any other?” the immediate answer would be, the box call. 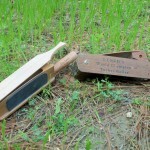 This simple little device has caused more tom turkeys to fall to the hunter’s gun than any other. Some would argue, that the box call has lured more gobblers than all other calls combined. This would be very difficult to quantify, except for the fifty year head start the box call had on all other calls. A simple design to the untrained eye. Many have tried to make and manufacture a box call that would be consistent in tone and in function. Few have been able to do so with any sort of regularity. And even fewer mass produced calls can make the cut to the trained ear of a master caller. We will discuss some brand options in a few, but for now we will look only at the call itself. A recent trip to Osceola Outfitters in Deer Park Florida, brought about a real revelation and revival of sorts. The guide at Osceola uses only a box call to bring in the birds for his clients. “I just like the simplicity and the rich sound of a box call.” Said Hoppy Kempfer, owner and operator of Osceola Outfitters. And in the hands of a master, the music he made with his box call was mesmerizing to me and the twelve long beards he called in while I was there. The other type of box call is the multi-piece. Individual pieces are cut and then glued together to make the call. The most famous of these are the M.L. Lynch calls. These are some of the most sought after and highly prized calls on the market. The Lynch calls are difficult to mimic due to the way they are made. It is much easier to mass produce the one piece calls. The glued call is just so difficult few even do it at all any longer. I purchased my first ever call when I was seventeen years old. A M.L. 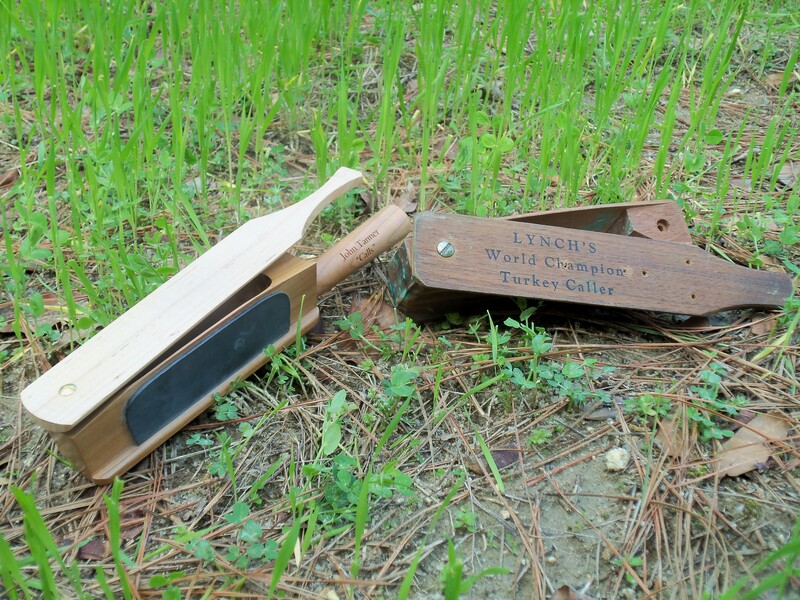 Lynch World Champion Double Sided Box call. I got it from Ace Hardware in my home town of Saluda, SC and I paid $14.95 for it. It is still my favorite call. More turkeys have been called to and killed with this call than all others of mine combined. The rich sound of the mahogany call seems to cause wary gobblers to throw caution to the wind and come in to see what is going on. Archibald Rutledge, a famous outdoor writer from South Carolina and world famous turkey hunter named his favorite box call, “Ms. Seductress” I guess this is true of many box calls. They have the ability to bring in a bird when all other calls do not seem to work. The box call is also one of the easiest to operate. Simply slide the lid across the box and you have some sounds. Watch closely the amount of pressure you apply to the lid, and the chalk on the lid is important to have fluid motion. Short strokes will make clucks. Longer drawn out strokes will produce Yelps, and putting these two together will put a tom in your gunsights. The box call is not old fashioned, it is timeless. A version of this call should be in every person’s vest. Learn to master the box call and you put the odds of killing a turkey in your favor.